Hi everyone, it's the time of the year when lots of people set goals for the year ahead, or take a depressing look at their finances and feel trapped by money worries and debt. This week I caught up with Jonathan Alexander Scott, a writer who's recently released book "The 21 Day Debt Revolution" has already been a recent bestseller on Amazon and has been downloaded by thousands of people. Hi Jonathan, thanks for being willing to be interviewed for The Potting Shed, how would you describe yourself and what you do? To be honest, Luke, I am just like everyone else. I am a normal person in a normal job. I have a wife and children and live in a normal house in a normal city in the south of England. I know I’ve overused the word “normal” in the last few sentences but I have done that on purpose. I want to point out that I am not from a privileged background. I am not overly intelligent and do not have any sort of intellectual advantage or inside knowledge over anyone else on this topic. My point is that if I can do what I have, then there is no reason why anyone else could not. Having been in a very large amount of debt (as described in my book) I am now passionate about helping people get out of debt. It’s not a full time job yet and maybe it never will be, but, as far as I’m concerned, if my book helps even just one person turn their life around then it will have been worth writing. Our society has arrived at a point where debt is a way of life. It’s almost as though if we don’t have debt then we are strange and abnormal. This is what I want to change. "Our society has arrived at a point where debt is a way of life"
How did you end up writing The 21 Day Debt Revolution and why? I’ve always dreamed of writing a book. I’ve started so many but never finished them through a combination of misplaced time management, lack of drive and lack of knowledge on the subject matters I’d chosen. A few short months ago I sat at my computer and realised that I have learnt so much about how to manage finances, particularly in order to get out of debt, that I should maybe write it down. People often ask me for advice in relation to their debt, so maybe I could share what I have learnt with others in a wider scale than simply one-to-one conversations. Because I am quite pragmatic I sat down and learned everything I could about writing a book then sat down to write. It didn’t take too long to have the first draft done, but the editing (and re-editing!) is what took the time. "I want people to be free to follow their dreams and one of the big things that stops people is debt"
Imagine being able to live the life of your dreams. One of the biggest obstacles to that is debt, so that is why I want to be able to help people become debt free. 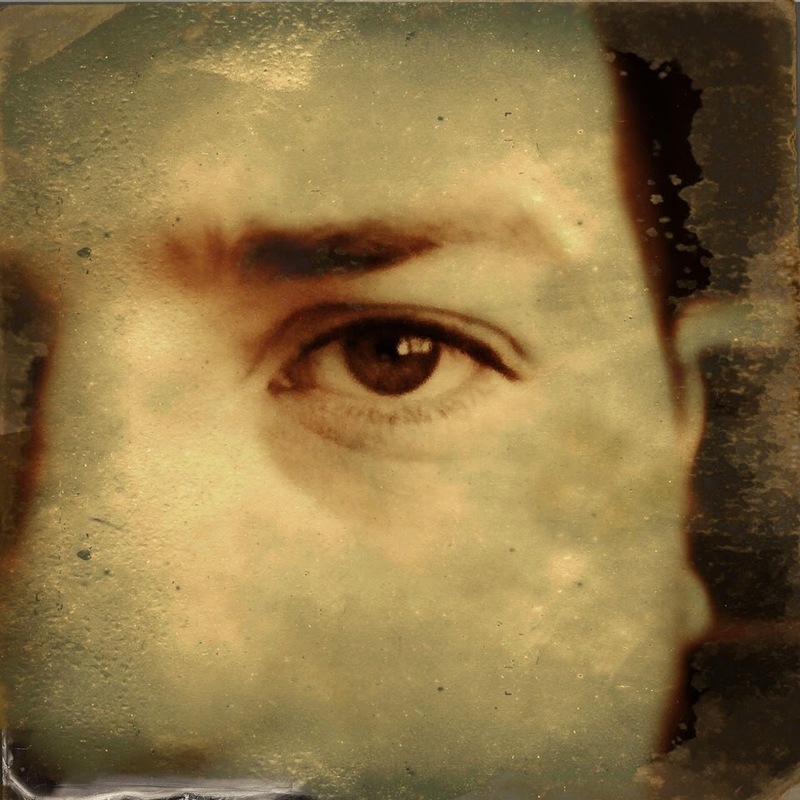 What would you say to people who feel overwhelmed and trapped by money worries and debt? Firstly; do not panic. Panicking will not help you see the issue clearly. It is often not as bad as you may think it is and nothing is insurmountable. Secondly; do not hide or ignore it. Debt will not just go away. The longer you leave the problem to fester, the bigger the problem will get. All you need is a clear sensible plan, which is why I wrote the book. It is very hard for someone to just start spending less, earning more and paying off debt, as this involves breaking spending habits that have formed over the years. Once you realise that by following a sensible plan results come and pick up momentum quite quickly, it becomes easier to avoid returning to those bad habits. Your book's reached lots of people, what have been the best bits so far on this journey for you, and have they been what you expected? In the two weeks since its release, The 21 Day Debt Revolution has been downloaded by over 2500 people around the world. This showed me that there is a need and that people long for a solution for their debt challenges. The moment I saw that someone had bought my book was amazing. I was so excited that someone was actually interested in what I had to say. I never imagined those figures would hit 100+ downloads a day! (At this point my wife started getting quite bored of my “book-downloads” updates!). It’s these personal stories that make the whole journey worthwhile. It’s an amazing privilege and an amazing responsibility to be able to have a positive impact on people’s lives. What inspires you and how do you stay inspired? Seeing people’s lives change for the better is what inspires me. Even if no one else buys my book again, I know that through this work I have reached about 2500 people already and that is what matters. "Write down your ultimate dream and work out what the first step is towards achieving it"
Apart from your own excellent book, can you recommend any resources to my readers? There are many great books out there, but if I were to recommend one to you it would be Dave Ramsey’s Total Money Makeover. My book is a 21 day plan to help people turn their lives around and head in the right direction. Dave Ramsey’s book covers all the theory behind money management, including what to do after you get out of debt, which my book doesn’t cover. The other thing I would recommend is this: If you are in so much debt that you can no longer make the repayments, or you are at serious imminent risk of losing your house or facing bankruptcy, please contact a debt advice centre. Don’t be sucked in by any agency that asks you for money either upfront or after providing their services. I would always recommend www.CAPUk.org. CAP are a christian charity that have helped thousands and thousands of people get out of debt. They provide support and friendship, along with the financial and legal assistance required to help people with their debt. For people looking to take a brave step towards their hopes and dreams, what would your advice be? Don’t wait for your dream to happen to you. Make it a reality. Write down your ultimate dream and work out what the first step is towards achieving it. Take that step then write down the next one. Before you know it you’ll have gone from taking one or two small tentative steps to running full tilt towards your goal. Finally, what's next for you as a writer? I am currently working on my next book, a financial guide for newly-weds. I would like this book to help newly-weds establish their dreams and financial goals early on in the marriage so that they walk together towards the same goal. It is so easy to get married and then realise 5, 10, 15 years down the line that you have different ideas about how, and on what, money should be spent. This then causes tension in a marriage and leads to all sorts of relationship problems. I would like to help people avoid those later problems by providing a plan that will assist them in setting their financial and family goals together early so they can avoid issues of debt and mismanagement of money later on. Thanks so much for your time Jonathan, and every success going forward! 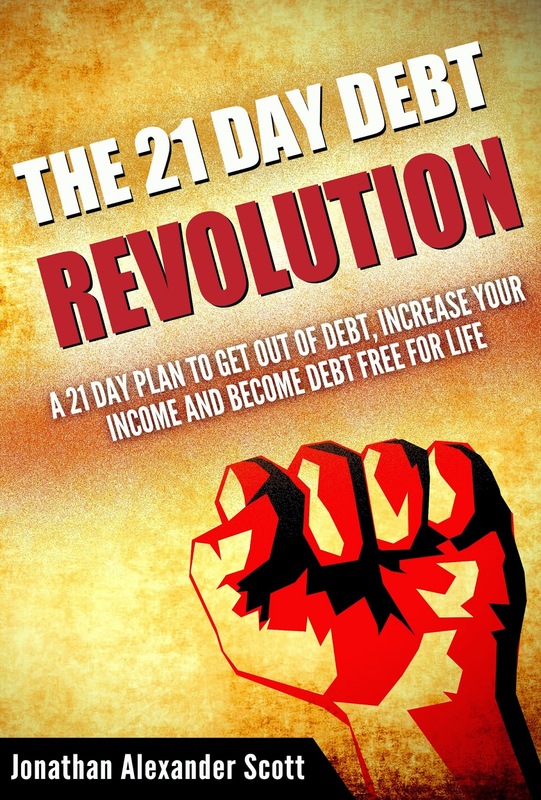 Jonathan's book The 21 Day Debt Revolution is available on Amazon and you can follow his blog here.